In days gone by, Ladurées reputation was built around its renowned cakes and pastries. However, the savoury fare: omelettes, salads and dainty finger sandwiches... always played a leading role in the establishments repertoire. 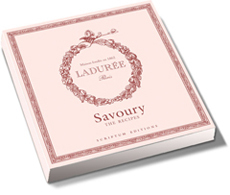 Over the last several years, Ladurée has gone a step further and created a recipe collection marrying the sweet and the savoury. 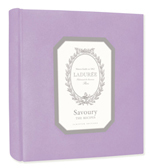 In this book, you will discover the great classics of French pastry - transformed into delicious savoury dishes!